There are certain estate tax efficiency strategies that are particularly viable when favorable circumstances exist. When it comes to transferring appreciable assets at a tax discount, the legal device called a grantor retained annuity trust can be quite useful when federal interest rates are low. Before we get into the details, we should provide some information about the estate tax parameters so that you can determine whether or not you are exposed to the federal death tax. Anything that you transfer to anyone other than your spouse is potentially subject to this tax. Transfers between spouses are not subject to transfer taxes, as long as the people in question are American citizens. When it comes to transfers to others, there is an estate tax exclusion. This is the amount that you can transfer to people other than your spouse free of taxation. Only the portion of your estate that exceeds this amount would be taxable. In 2015, this exclusion stands at $5.45 million. There is a gift tax that is unified with the estate tax, so you cannot simply give gifts while you are living to avoid the tax. 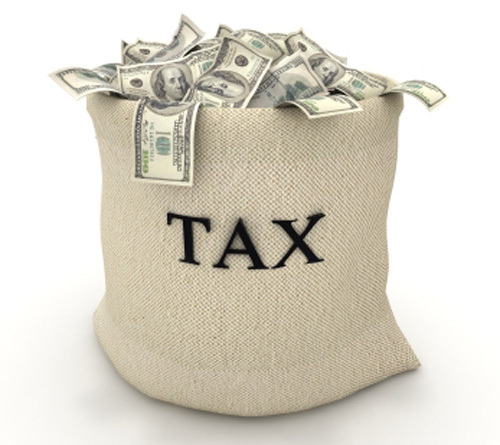 These two taxes are unified, so the $5.45 million exclusion applies to large gifts that you while you are living coupled with the estate that will be transferred to your heirs after your passing. If your estate is going to be exposed to the estate tax, estate tax efficiency strategies are called for, and a zeroed out grantor retained annuity trust or GRAT can be part of the plan if you are in possession of highly appreciable assets. To execute this strategy, you fund the trust with these appreciable assets, and you name a beneficiary. Anything that may be left in the trust after the expiration of its term would be transferred to the beneficiary, so a gift could be given. To account for this from a tax perspective, the IRS adds anticipated interest accrual to the taxable value of the potential gift. They add 120 percent of the federal midterm rate; this is often called the hurdle rate. When you create the trust declaration, you arrange to receive annuity payments throughout the duration of the term. The idea is to zero out the GRAT by accepting annuity payments that will theoretically exhaust the assets that you conveyed into the trust, including the estimated interest that was applied by the IRS. As we have stated in the opening, interest rates have been low, so it is quite possible that the assets in the trust will in fact perform better than the hurdle rate that was applied. If all goes according to plan, there will be a remainder in the trust after the expiration of the term. It would be transferred to the beneficiary, and the gift tax would not enter the picture. Feel free to contact us through the following link if you would like to schedule a consultation with a licensed professional: Hartford CT Estate Planning Attorneys.